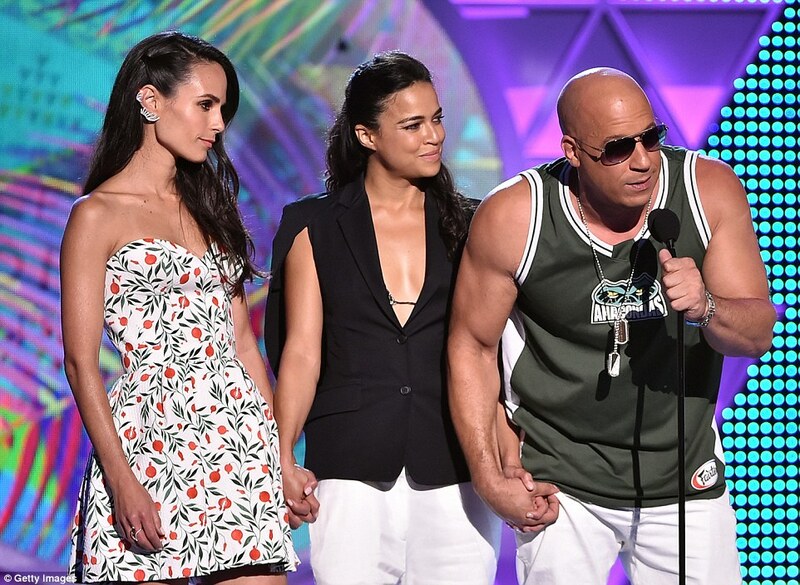 Last night at the Teen Choice Awards Vin Diesel and his cast mates from Furious 7 gave a loving tribute to his late friend and Furious partner, Paul Walker. During the speech, Diesel thanked Walker’s teenage daughter, Meadow, for helping inspire them through the production. Then Diesel went and dropped the possible title for the next “Fast and Furious” film, “I love all of you. I love all of you! And… until Fast 8“. Now it is not confirmed as of yet if Fast 8 is indeed the running title of the film. The only other time the franchise did not add the Furious part to the title of a F&F film was back in 2011 with Fast Five. For now what is known about Fast 8 is that the main cast which includes Diesel, Michelle Rodriguez, Tyrese Gibson, Dwayne Johnson, and Ludacris to all return. Although it is unclear if Jordana Brewster will return Kurt Russell and Jason Statham are expected to be back for the 8th sequel film which will be located this time in New York City. April 14th, 2017 is when fans can expect the film to roll into theaters.